Do you remember my cyclamen seedlings - the ones where I had to prick out about 4 dozen of them. (PS A few commenters seem to think these seedlings are from my outdoor cyclamen but they are seeds taken from my house plants). I have been able to keep an eye on the ones living under the growing light in an upstairs room and knew that they were just fine. Growing slowly but surely. I hadn't expected the ones left in our cold greenhouse to survive the recent cold period so once the snow had receded I decided to pop up to the greenhouse to see what sort of state things were in. The cyclamen seeds are protected in an unheated propagator which in effect gives very little additional protection so I was surprised to find that the seedlings were just fine. In fact there is very little difference between those in the house and those roughing it in the greenhouse. Maybe this will change later. The cyclamen coum that I sowed last year are still flowering and I have ended up with at least two different flower colours. You may just be able to spot that the flower on the far left is a lighter shade. Once these plants have bulked up a little I'll have to decided where in the garden will be a permanent home for them. In case you were wondering the cyclamen don't have the grow light all to themselves as I've sown some leftover Little Gem lettuce seeds in a trough. The seeds germinated very quickly and will hopefully soon produce some fresh salad leaves. I sowed some Saladin seeds in the 'empty' tray that you can just see but these haven't germinated so I'll sow a different variety to use the space until we need the grow light for some early seeds. 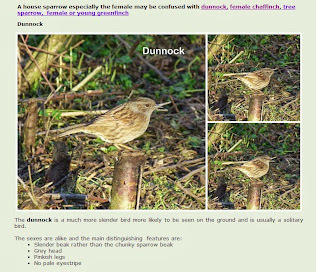 I didn't take the photos during the birdwatching - they were some I took earlier. Not all our visitors turned up to be counted but it wasn't a bad turnout to say the birds usually disappear during bird count weekend. When we go on holiday or have a day out, like many gardeners, we enjoy visiting other gardens. 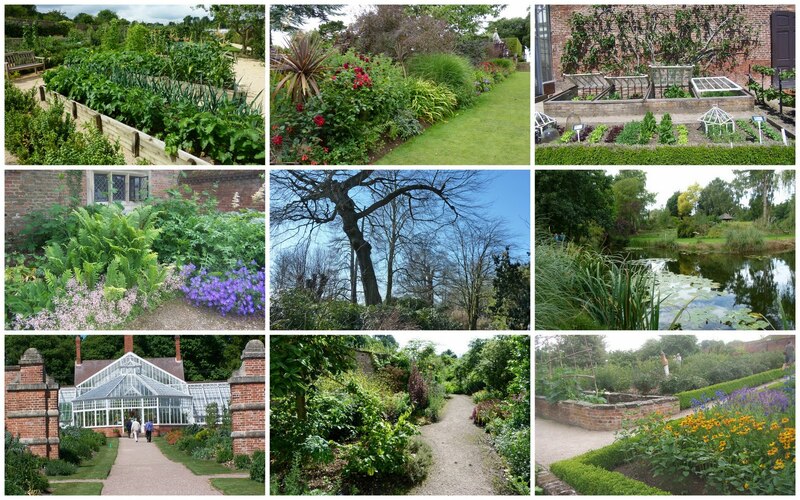 Reading blogs I often spot reviews of gardens that people have visited. It's a really good way of finding new places to explore. 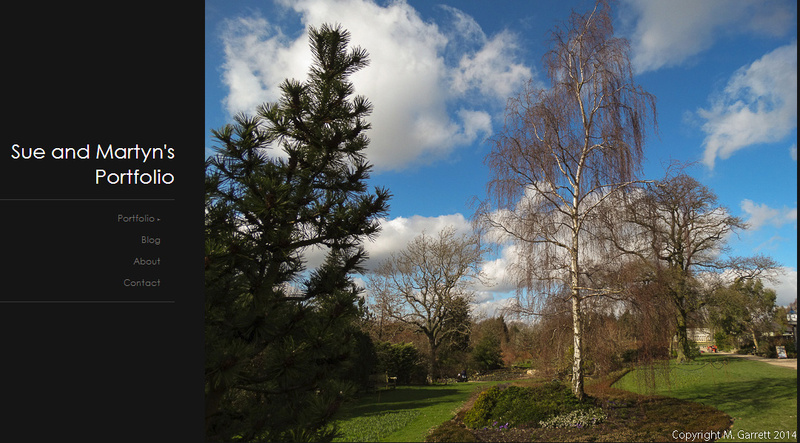 I haven't tended to devote blog posts to any of the gardens that we have visited but I do have a section on my website here, where I have shared photos of some of the gardens that we have enjoyed visiting. Whilst the weather outside is miserable you may like to browse the photos and perhaps choose somewhere to visit this year. I'd love some suggestions of gardens that you have enjoyed visiting (especially near enough to Yorkshire to visit on a day out) so that I too can dream of next year's days out! Last lot of seeds - promise! If you are still reading our seed choices posts - well done - by now you must be itching for me to finish. Well I promise this is my last list - honestly it really is! Here I'm going to cover the seeds that I haven't already mentioned starting with the salad crops. Firstly lettuce and salad leaves. We still have an unopened packet of Winter Gem seeds so although we aren't adding these to our seed list we will be growing them. No doubt we will also be using up some other left over seeds from last year - we seem to have lots of part used packets. 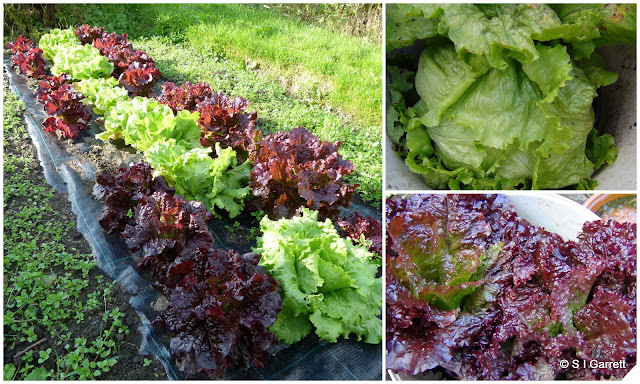 Then the tried and tested varieties on our list are Little Gem, Webbs Wonderful and a freebies packet of Mixed Salad Leaves. New for this year is Mazurosso a red variety described as having some tolerance to bolting. The most difficult thing about growing radish last year was remembering to pull them before they grew too big. 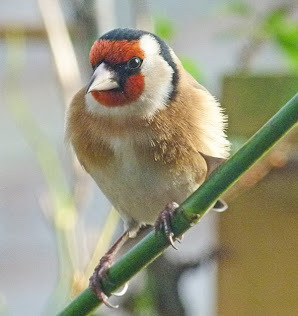 This year we will be just ordering a packet of mixed seeds. This mixture should include French Breakfast, Scarlet Globe and Sparkler. No doubt will find some left over seed too. Spring onions are suddenly proving challenging - I say suddenly but the suddenly really refers to a few years ago now. 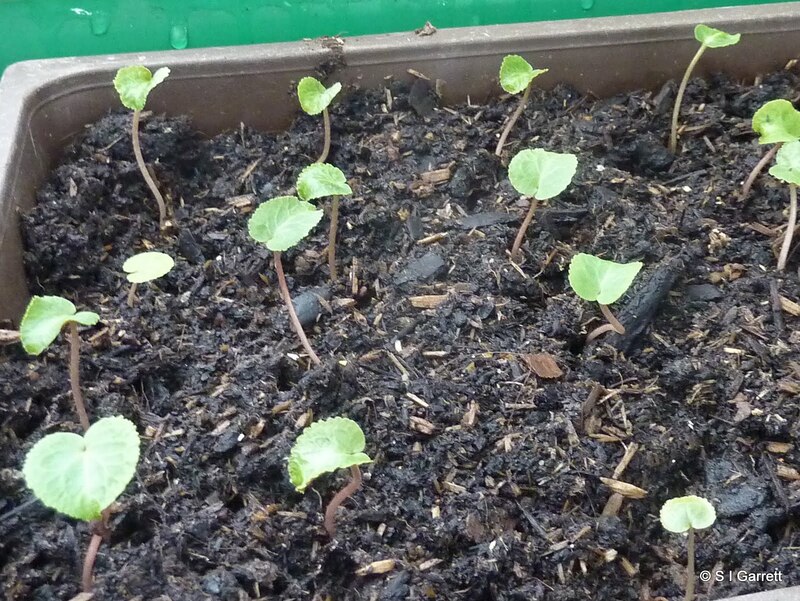 The seeds germinate but then the seedling grow so slowly whether the seeds have been sown directly in the ground or in a pot filled with general purpose compost. We will not give up though and this year we have ordered a bunching onion called Lillia. 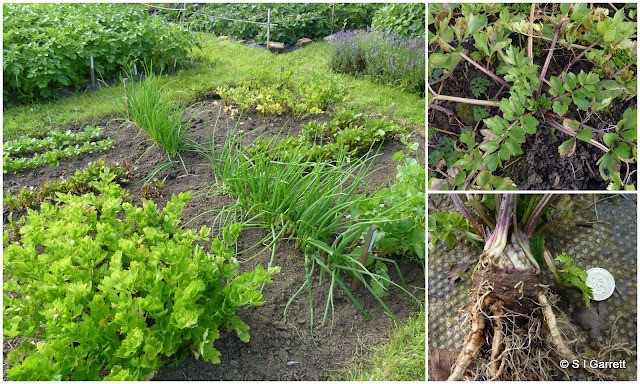 We had failure in our attempt to grow celery and celeriac last year even after doing everything correct - according to what we have read anyway. Not to be deterred we will try again just in case the appalling weather had a hand in our failures and just in case there is an improvement in conditions this year. The plants started off full of promise but in the end they didn't fulfil early expectations. 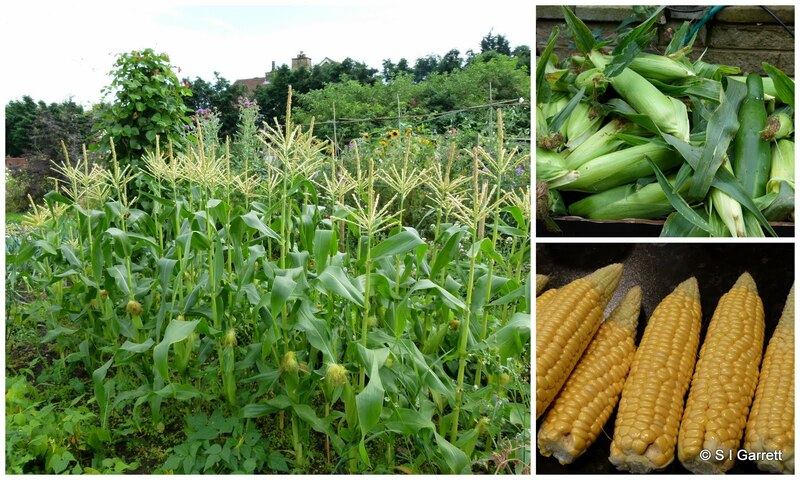 We will be growing one variety of sweetcorn - Sweet Nugget. We've grown this for a few years now. Finally a choice made for us - we have a packet of Ruby Chard (Vulcan) one of the many packers of seed already acquired via one of the magazines we subscribe to. Now neither of us really like chard except maybe when picked as very small leaves to add to salad, but of course we will sow the seeds and enjoy looking at the decorative plants. PS: Message to any magazine editors out there - please don't give us any more seeds - reduce the price of your magazine or giveaway something useful like say some plant labels or a marker pen or some other little gadget for us to try but no more seeds now we have placed our orders. Just a very quick post to explain a new setting that I am trying out. My list of unwelcome comments is becoming a nuisance and some have actually started to be published which must annoy readers as much as it does me! As a result I have set my permission the 'comments setting' to Registered Users to try and filter out Anonymous Users which is where the rubbish comments are coming from. If you are logged into a Google/Wordpress account etc. you should be able to post as usual but if not you will need to choose from a set of options. I'm hoping that this will allow everyone else to post their very welcome comments without a problem but if you find it causes difficulty then please email me. If you comment on older posts you will see that comment moderation has been set on posts older than 5 days but once I've read them bonafide comments will be published. If any comments with links back to bizarre websites are published please don't follow the links. Where there are brassicas there has to be broccoili but for us unfortunately last year there was hardly any broccoli at all. We had no early broccoli thanks to the rubbish plants we were supplied with. Both Dobies and Marshalls supplied terrible plants. Dobies refunded our payment but Marshalls insisted that the plants would rally and were of the quality they would expect! 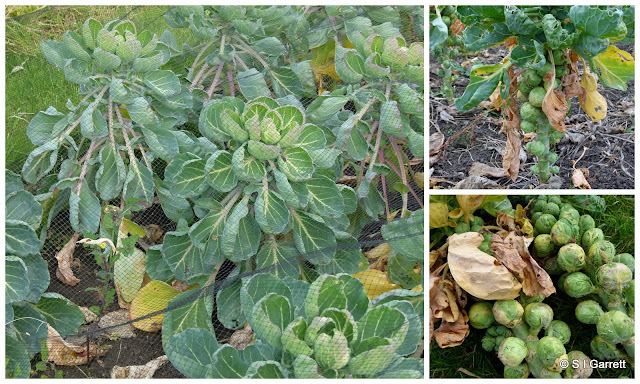 They didn't rally and the result was hardly any winter/early spring brassicas. Then the summer broccoli plants that we had grown from seed didn't thrive in the poor conditions. Result was a broccoliless (my word) year. 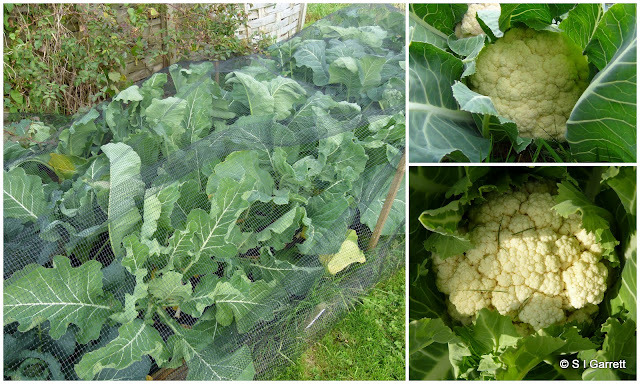 This year we raised our own winter brassica plants and after last year's disappointment will continue to do so. Anyway moaning over and on to what we have ordered in the broccoli line. I'm including calabrese here too. There's nothing out of the ordinary in the broccoli list - White Sprouting Early and Early Purple. The photo below is just about all we got from last year's plants and we shared it. We've chosen two varieties of calabrese (green sprouting broccoli) - Green Magic and Marathon. We have grown both varieties for several years. 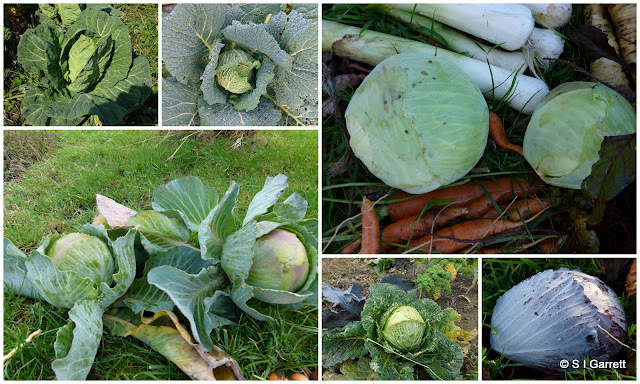 We grow a variety of cabbages, autumn, winter, spring, summer, red, green, crinkly and smooth. All the varieties that we have chosen this year, we have grown for several years. These are Kilaton (autumn which is club root resistant), Huzaro (red), Hispi (spring), Candissa (summer). 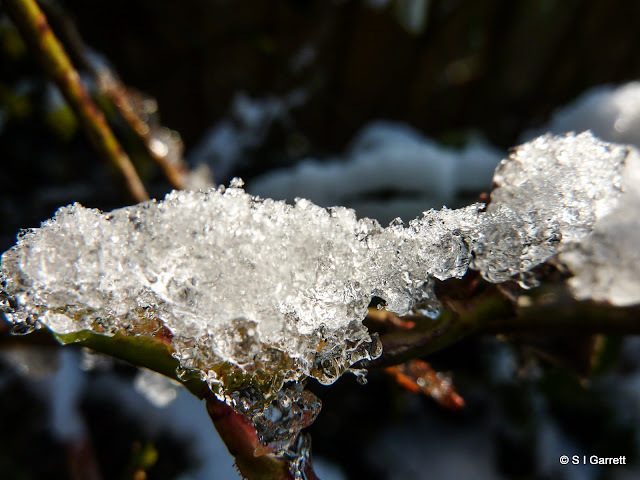 tundra (winter) and January King (winter). We have chosen two varieties of cauliflower one of which is a gamble. We planted Aalsmeer last year as an early variety so as yet it hasn't cropped but as the plants look to have grown well we are risking growing it again next year. The other variety is a club root resistant variety called Clapton. We've grown this for a couple of years and it has produce a good crop. 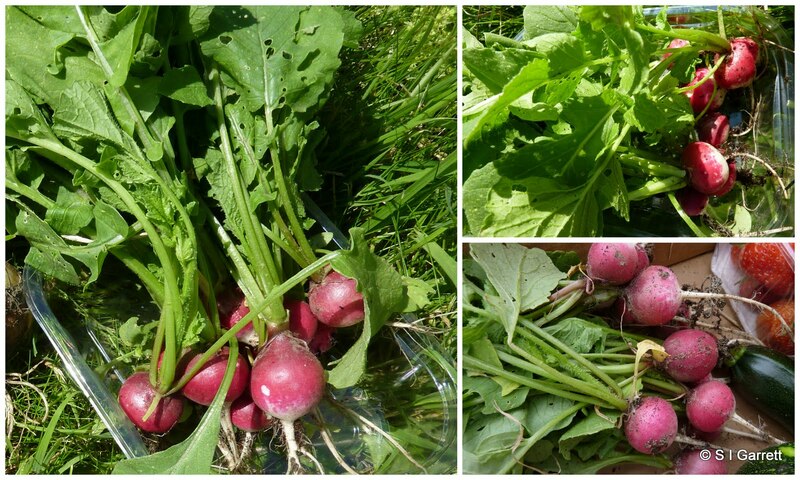 Growing club root resistant varieties of brassicas has certainly improved our success rate. After having grown sprouts successfully for several years suddenly the process seemed to be beyond us. 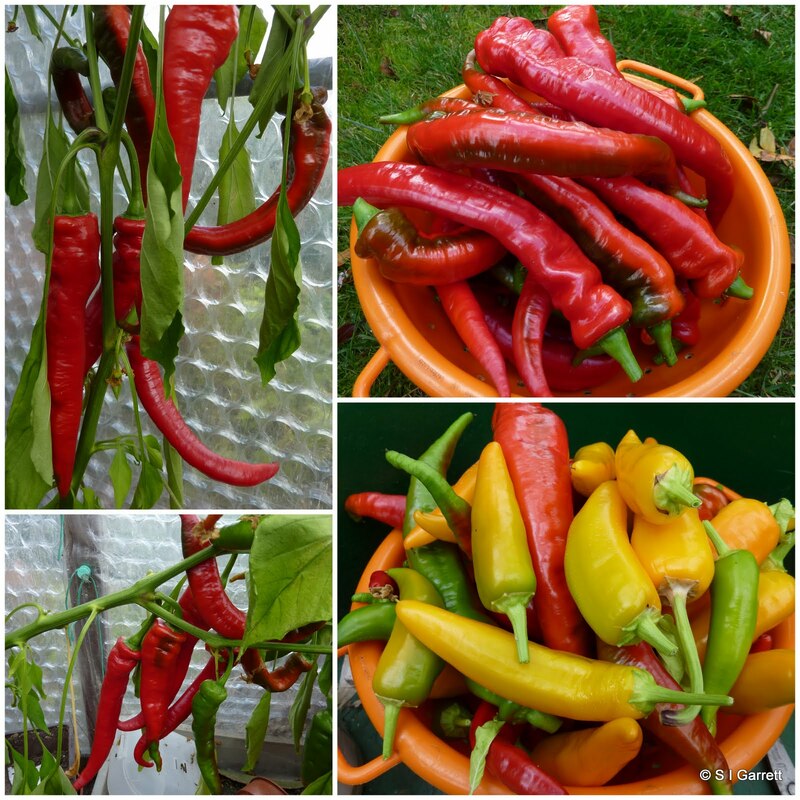 We planted healthy plants started in pots in the greenhouse but once planted out they just failed to thrive and ended up as stunted sorry looking individuals, All that changed when we found a club root resistant variety Crispus. 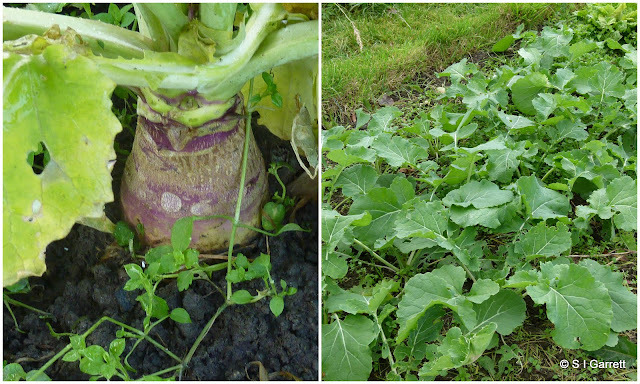 Last year as a test we sowed some free seeds and the results were fairly conclusive. Grown side by side Crispus grew well and produced a crop - the other variety just went backwards. I posted about this earlier here. That nicely brings us to our choice of swede. These went is a bit too late so we're not expecting a harvest. For sowing this year we have chosen a new club root resistant variety called Gowrie from Plants of Distinction. Below is this year's effort. Finally we have a free packet of seeds called Purple Top Milan which we will sow. 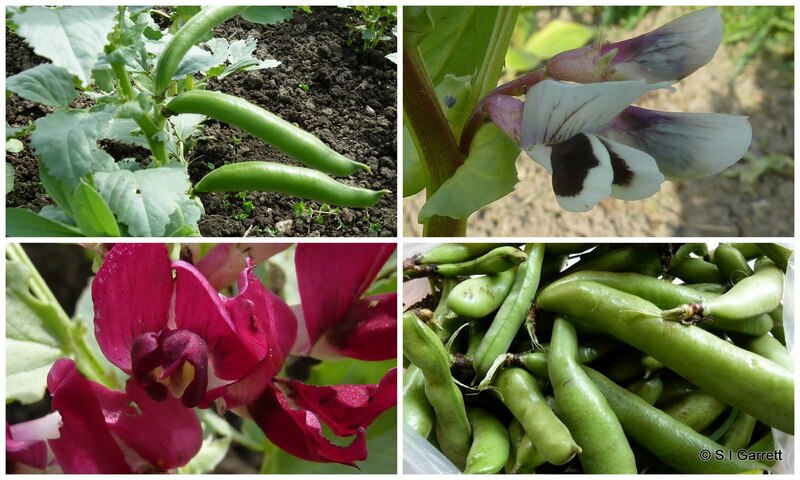 Our complete vegetable and fruit seed list including suppliers is available here. When is a blackbird not a black bird? 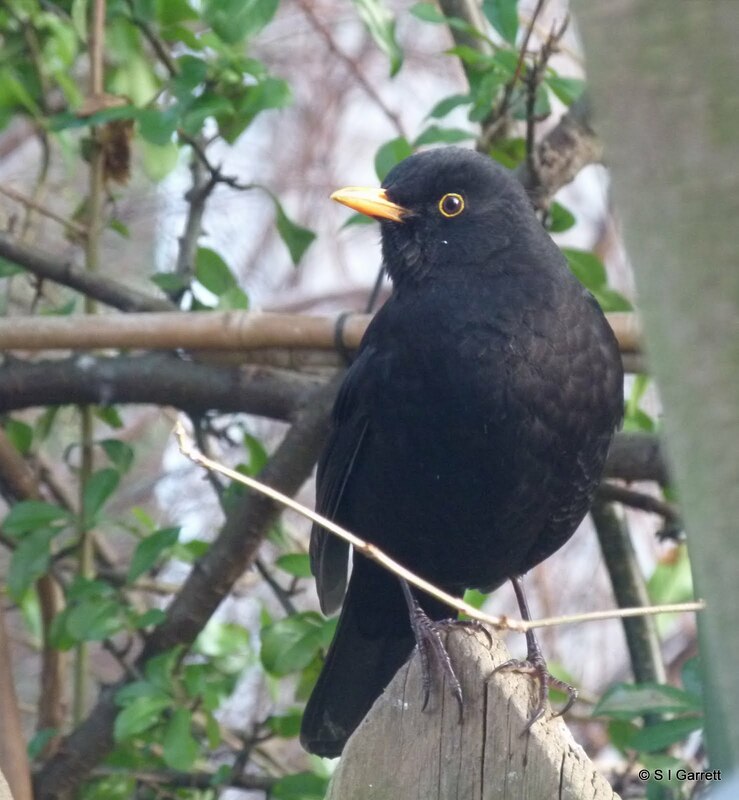 Just one of the many blackbirds flocking into our garden at the moment. I've never seen so many in the same place at the same time. It's a sign that the birds are struggling in the cold conditions. 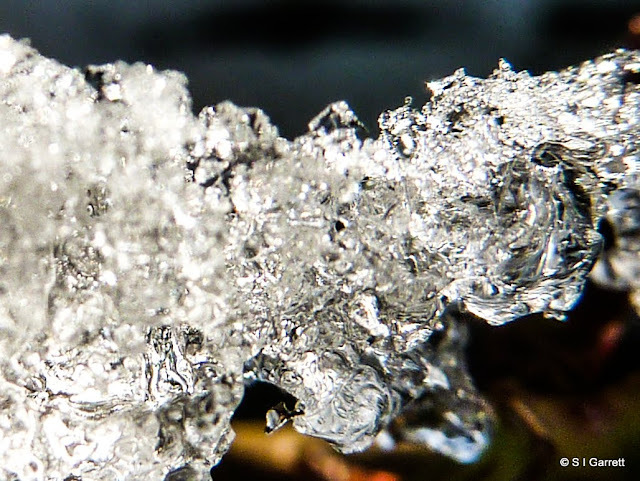 Many are also using our pond as an emergency water supply for drinking and bathing as the bird baths are freezing up very soon after we thaw them out. This year our onion crop was poor. As you will have seen if you visit Martyn's blog the race is on to use the onions before the rot sets in. The worst performing onions were the heat treated sets. It wasn't the heat treatment that was at fault - we have grown heat treated sets successfully for years - it was just that these sets are available later than untreated ones and this meant that the sets were planted later so they missed the better growing conditions when the untreated bulbs were planted. This posed a dilemma, to order heat treated bulbs and risk another late sowing or risk untreated sets and hope that not too many bulbs bolt. I the end we have opted for untreated. 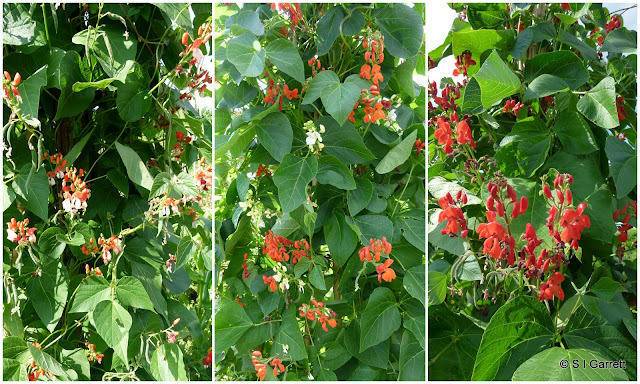 We have chosen four varieties of sets,Red Karmen (which is suppose to store well) and Rumba (which is suppose to have improved vigour) are new to us. Then two varieties that we have grown most years namely Sturon and Stuttgart. Both have performed well most year's and also did better than most this year too. We also have a free packet of Bedfordshire Champion seed so we may have a go at raising onions from seed - something we haven't done for a while. One lesson from this year was to plant any spare sets closely together in a row as this produces a supply of small onions that have actually kept better than the large ones. We've chosen two new varieties of shallots for this year - Golden Gourmet (this is claimed to have a high resistance to bolting which affected many of our shallots last year) and Red Sun. The shallots actually did better than the onions last year and we also used them instead of spring onions that seem to grow so slowly. I don't know what has changed but spring onions always were easy to grow until the last few years when they have been very reluctant to perform. As for leeks we're sticking with old favourites - Giant Winter, Blue Solaise and Lyon 2 Prizetaker. Back to our seed choices for this year and moving on to our choice of root crops for next year. We have tried various coloured beetroot in the past but somehow in spite of the fact that it ends up staining fingers red we haven't really taken to the multicoloured varieties, We've grown yellow, white and striped but this year both of our chosen varieties are red. Boltardy has been grown over and over again on our plots and will this year be joined by Crimson King. We love home grown carrots - once eaten you just can't bring yourself to buy shop bought ones. In 2011 we had a miserable harvest and so did we buy any? No we managed without. This year fortunately we were back on track and are still digging great tasting roots. Next year we will be planting, Autumn King, Early Nantes and St Valery again. Last year St Valery was a magazine freebie that was a revelation. According to Kings catalogue it is 'probably the best known variety' but we didn't know about it 'til last year! We will be adding Chatenay Royal form Kings to this list. This is said to be an improved version of Chatenay Red Cored. We grow a few varieties of carrot to hedge our bets just in case one variety proved to be a dud! Our method of growing carrots is here. Parsnips are another must have winter vegetable and we will be sticking with the tried and tested Gladiator. I know lots of people complain that they have difficulty growing parsnips but we seem to do OK. The first rule is to buy fresh seed every year as unlike many seeds, parsnip seeds soon lose viability. Just in case you are interested in how we grow our parsnips click here. The ones below may not look like pretty showbench vegetables but they do brush up nicely. That brings us to the potatoes. This year we are ordering most of our potatoes from JBA Seed Potatoes. We could wait to see what is available in local garden centres but if we do that and they don't have the varieties we want then it is generally too late to order then online. Each year we stick with a range of tried and tested varieties and add at least one new 'experiment'. Of those varieties that we have grown for a few year we have ordered Charlotte (second early), Nadine (second early), Nicola (second early) and Winston (first early). We then have a couple of varieties that we grew last year and thought were worth another try. In this group we have ordered Swift (first early) and Vales Emerald (first early). JBA didn't offer Vales Emerald but we liked the taste so much that it was worth searching out and we found it on the DT Brown site. Vales Emerald's mum and dad are Charlotte and Maris Peer so it comes from good stock. Our trials for this year are Harmony (early maincrop) and Marfona (early maincrop). These are both recommended to be good bakers and as we are partial to a baked potato seemed to be good choices. 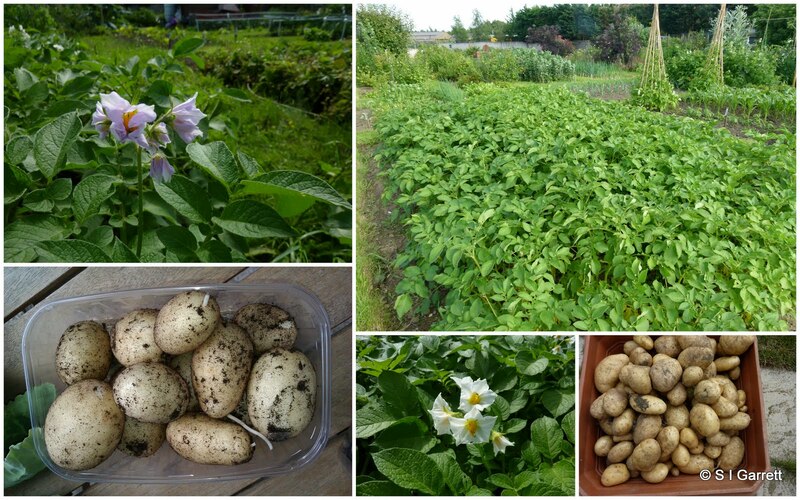 We tend not to grow many maincrop potatoes as if we are hit by late blight usually the plants have produced a decent crop before they succumb and also the sooner we can lift the potatoes the less time the slugs have to gorge on them. We've never had a problem storing the early varieties. With so many potatoes to plant we don't go in for the dig a huge trench routine, instead we plant using a trowel. This is worked for us for many years now. If you want to read more click here. For a few extra early picking we also plant a few tubers in sacks or pots which start life in our cold greenhouse. As we went to the plot this weekend to gather in some fresh vegetables I though that I'd take a longer break from my seed choice posts to join in with the Monday Harvests that many of you post about. I know ours was a Saturday Harvest but hope that you will allow some literary licence. Our harvest is what you would expect at this time of year, except for the tiny cauliflower that we found. This is a late summer cauliflower rather than an early winter one. I was happy to see that we still have quite a few sprouts left for picking and that these are showing no sign (yet) of blowing. I'm glad we came across Crispus the club root resistant variety as before this our sprout growing often ended in tears. The cabbages are Kilaton, the seeds of which were sown in April and planted out on the plot in June. We started harvesting them in November. 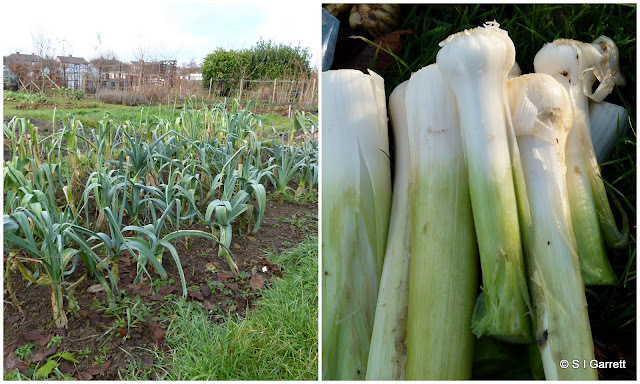 The leeks - Blue Solaise do not have long shafts of white as we don't earth them up or use collars to blanch them. This isn't something we bother with. Once the young plants are popped in the planting hole they are left to get on with growing! The carrots - Autumn King and parsnip - Gladiator have been rinsed but we don't give them a 'proper' clean until we are ready to use them. We find that the roots seem to keep better this way. They are left outdoors under cover in a bucket. Some of the roots may be a strange shape but we grow them to eat not for decoration and are not as fussy as the supermarkets! I'm taking a break from publishing seed choices just so you don't get too bored - more to come on that subject soon. 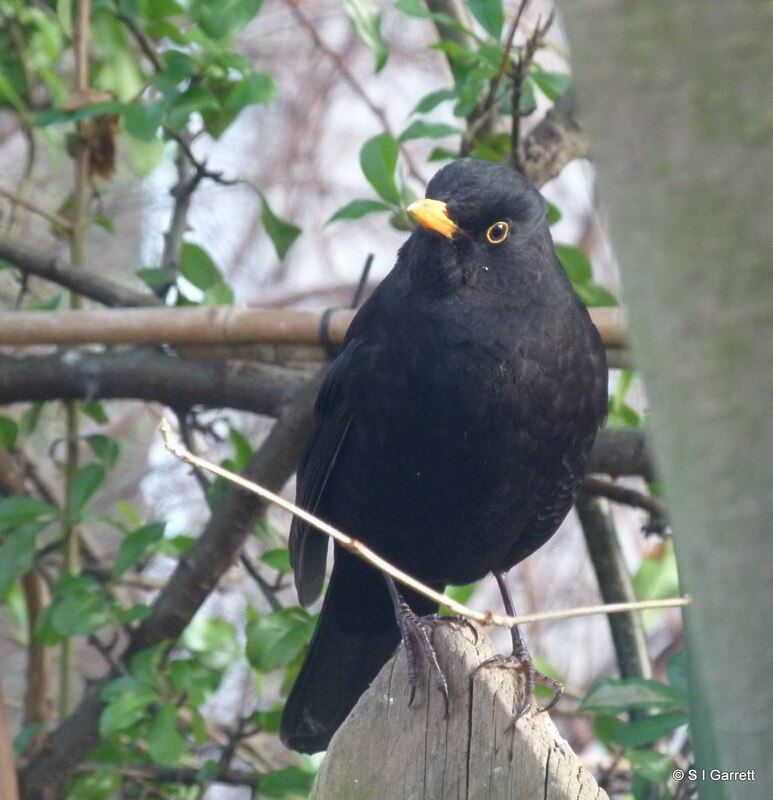 Meanwhile I thought I'd give you an easy read and share a couple of photos of a male blackbird. 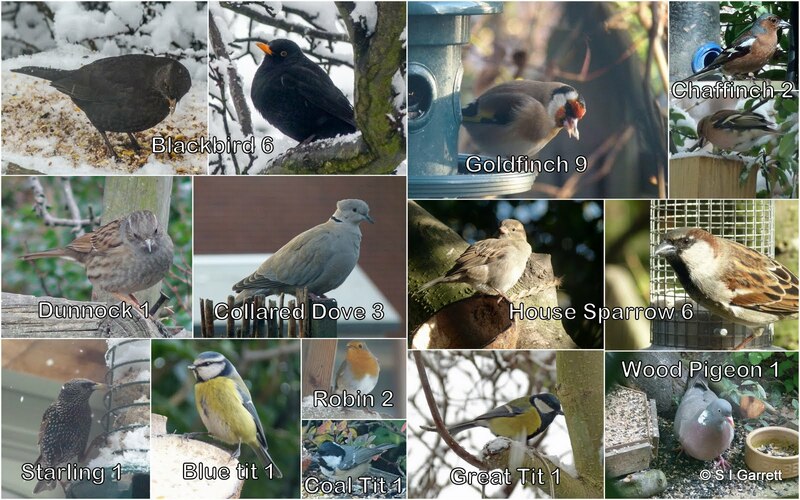 I'm trying to get some photos of birds in our trees and bushes rather than on bird tables and feeders. It isn't as easy as they tend to flit around a bit more but here are a couple that I like of a male blackbird posing 'au naturel'. At the moment we have blackbird wars in our garden so there are plenty of potential subjects if they'd only stop zooming around! Our pea harvest wasn't too good last year so this year we are hoping for better things. We're mostly sticking with Meteor (which is supposed to be ideal for exposed sites, Onward and Progress No. 9 ( said to be early to crop). Just as a test we are also trying a tall growing variety - Alderman which is said to have excellent flavour. I think last year the plants grew too slowly to ward off the effects of the pea weevil attack so maybe controlling this pest better is something to look into. We will also grow the mangetout variety Carouby de Maussane again which ended up maybe being the best performing pea last year. It didn't provide an abundant crop but it kept producing little and often, Intriguingly the plants growing in one part of the plot performed better than those in a different area. I'm not sure whether this was down to soil or positioning so we'll see what happens this year. Now onto the beans. The beans did well last year and produced good crops. They're a pleasure to grow as they look as good in flower as many ornamental plants especially the runner beans. This year we are sticking to Enorma (red flowered) and Desiree (white flowered) and are trying St George (as you would guess from the name has red and white flowers). Why not consider the flower colour as well as the flavour and cropping performance. 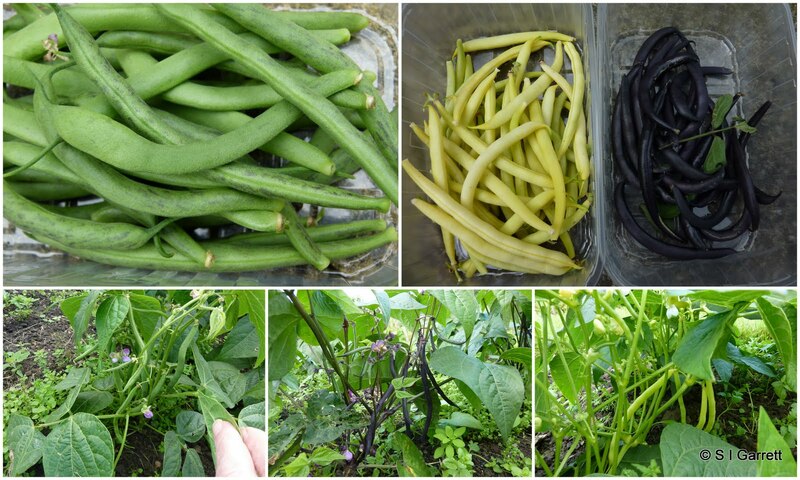 We are sticking with three varieties of French bean that have proved their worth namely Tendergreen (produces a green bean), Royalty (a purple bean that unfortunately turns green when cooked) and Sungold (a yellow bean). Then as Mark from Mark's Veg Plot rates it so highly we will also be adding the climbing French bean, Cobra to the list. 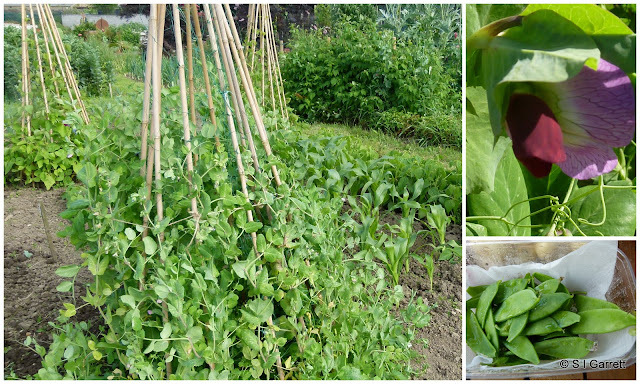 Finally we'll be sticking with our usual variety of broad beans - Witkien Manita which is supposed to when sown in spring produce beans as early as you can with a November sowing. Then we have Masterpiece Green and Crimson Flowered which is an old variety but is the subject of many comments from other plot holders when they spot it growing on our plot. 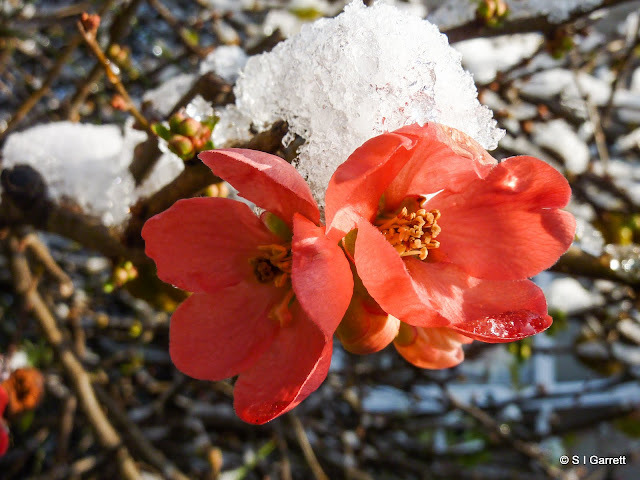 In this post I'm covering our choice of fruit seeds for growing next year on the plot. I'm using the botanical meaning of fruit and so this group of plants are anything where we eat the seed pod of the plant. To defy my own criteria I'm not including peas and beans. In fact most of this fruit in this list belong to the curcurbit family. The first choice is the exception. It was really time to replenish our alpine strawberry stock last year. We have lots of worn out plants that need replacing. We had intended to grow more plants last year but the seeds didn't thrive in the horrible conditions and so this year is take two. To get a reasonable harvest of alpine strawberries you do need lots of plants so we use them as border plants on various fruit beds on the plot. Usually they are fairly easily grown from seed - last year was the exception. I think that could have been down to the weather and the fact that we tended not to spend as much time in the greenhouse keeping an eye on things. The variety chosen to sow this year is Alexandria from Kings. As it doesn't produce runners it is more suited to growing as an edging plant. Now for the curcurbits. The choice of cucumber took no thinking about. Last year we had a great crop despite the conditions and so will grow Burpless Tasty Green again. It's not fancy but it a reliable variety. 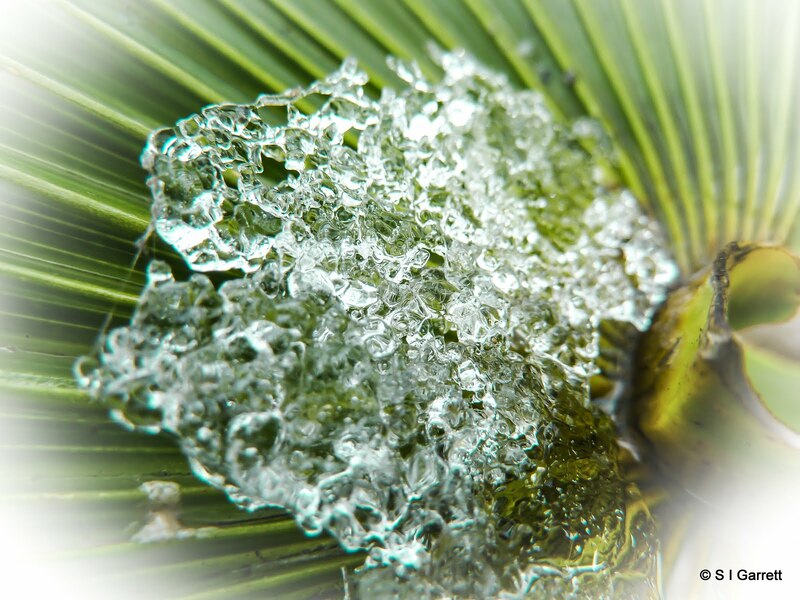 We have also learned that it thrives on lots of moisture. We've chosen three varieties of courgette from Kings. Zucchini (a green variety), Jemmer (yellow) and Tondo Chiaro di Nizza (a round fruited variety). 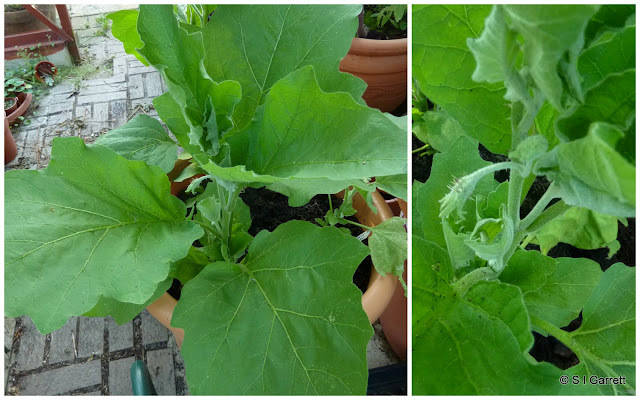 We sowed a free packet of round courgette seeds last year, and found them to be great for stuffing and so we decided that we must have a round variety this year too. Last year we had a winter squash famine - the seeds just refused to germinated which was a pity as we had developed a taste for pumpkin pie! Crown Prince has usually done well for us and so we will be sticking with this and adding another three varieties. Two varieties are through choice, firstly a spaghetti squash called Stripeti from Plants of Distinction and secondly, also from Plants of Distinction, we have chosen Futsu Black which isn't black at all. This one is supposed to have an hazelnut flavour. Another variety was one of those magazine freebies which we can't resist trying. It's Sweet Dumpling from Mr Fothergills. (We've lots of free seeds form this company as magazines seem to like then but - sorry Mr Fothergill - we have never actually ordered from them. Sweet Dumpling is supposed to produce fruits of a suitable size for individual servings. 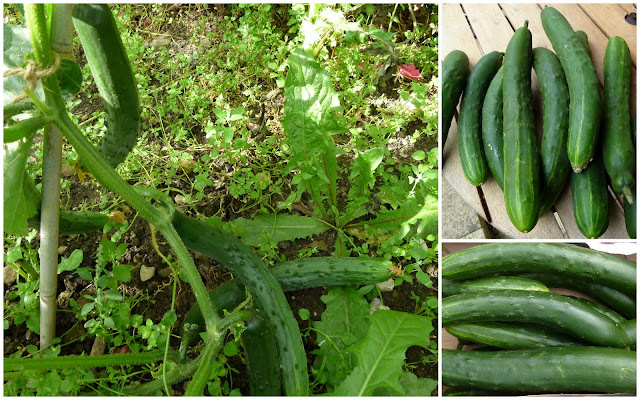 It could be a candidate for stuffing once the courgettes are finished. The photo below is from 2011 - the last squash harvest. Now a conundrum what IS the difference between a squash and a pumpkin? Can ANYONE explain it clearly or are they the same thing? I can't possibly list all the fruit and vegetable seeds that we will be ordering this year in a blog post. If you are curious and want to see our full list of choices, then it can be found here. Instead I'm going to restrict myself to writing about just a selection starting with the greenhouse fruit (some of which may also be tried outdoors). Let's go alphabetically and start with aubergines. We don't really have much success with aubergines. The plants grow, they produce flowers and often that is about it. Sometimes they manage to set mini fruitlets but we have only rarely ended up with a fruit that we can use. We usually grow the plants in our garden greenhouse and maybe more attention is paid to the tomatoes than anything else. Maybe the tomatoes shade them out. Whatever the reason we refuse to give up. This year we are trying a mini aubergine variety called Jackpot from Plants of Distinction. It claims to be a prolific cropper - we will see! Next choice is a melon. We have tried melons in the past and even managed to harvest a couple of fruits. I know they were on the small side but they were perfectly formed. Anyway we're having another try with a variety called Alvaro also from Plants of Distinction. 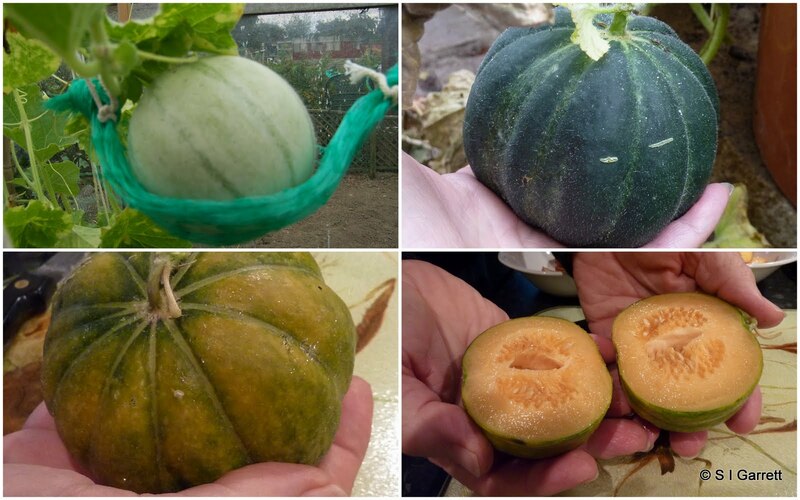 It claims to be the only melon to ripen outdoors in the UK. Again we will see - if we have a repeat of last year it will be struggling. Then we haven chosen four varieties of Sweet Peppers. (We do have some freebie chilli seeds Mark but will we dare plant any?) We have grown the long thin varieties for a few years and these usually produce a reasonable quantity of fruits - that was until last year. This year's choices all from Plants of Distinction includes Jimmy Nardello - the red one pictured above but we are adding three new choices, King of the North which claims to be 'arguably the best cool season cropper' - stand-by for a heatwave next year, Palladio, a long thin yellow pepper (apparently they are called bulls' horn pepper) which is supposed to be exceptionally high yielding and Solero a mini pepper which is supposed to be happy in a 9" (23cm) pot. Then we have along list of eight varieties of tomato. Some are old reliable favourites - Alicante, Amish Gold and Gardeners' Delight but there are also some newbies. 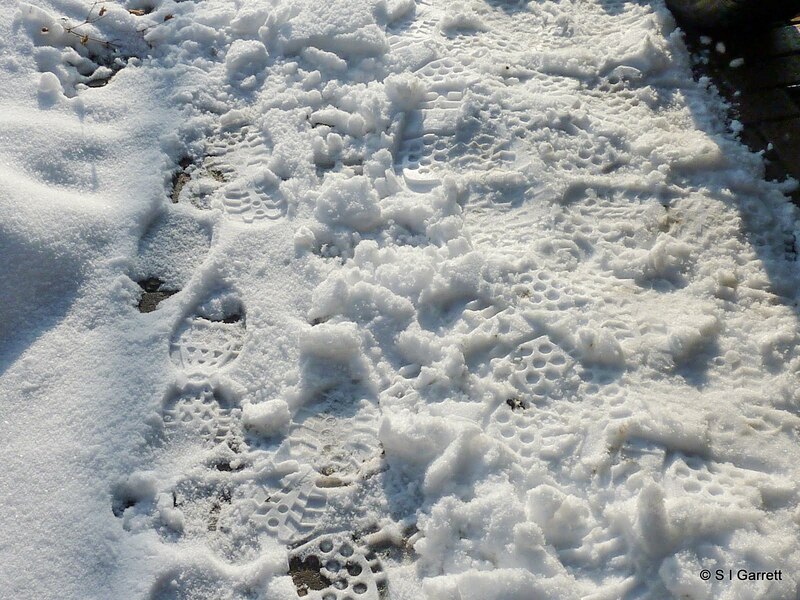 These are all from Plants of Distiction. Firstly a beefsteak variety, Pink Wonder which is supposed to be equally at home indoors or outdoors. 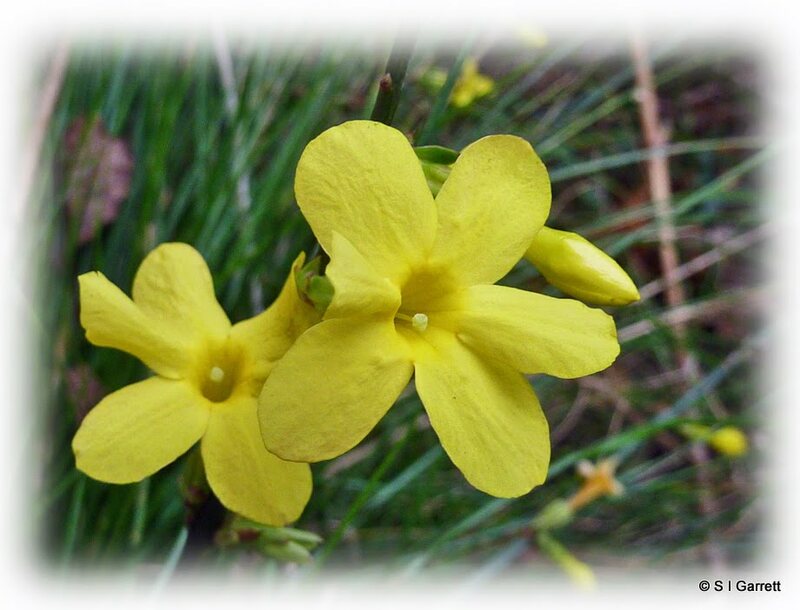 Next is Sioux, this is said to be prolific and was bred in 1944 for extremes of climate. The final choice is Brandy Boy which is supposed to be an improvement on Brandywine giving five times more fruit! When we have grown Brandywine in the past we have ended up with some monster fruit as shown in this post. I'm just hoping that the tomatoes actually ripen when they should next year! On starting blocks and itching to go!